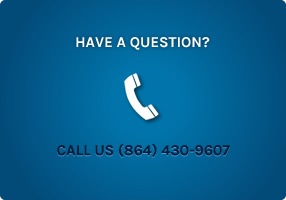 Nonwoven Tools LLC is a company that provides training, computer applications, and engineering to increase profitability and reduce overhead for nonwoven companies. Nonwoven Tools was conceived by Don Hindman as a means of improving efficiency and profits on the nonwoven production floor. After working for over 35 years in the nonwoven industry, Don realized that the key to quality and profitability was training nonwoven production workers to do their jobs efficiently and to have a good grasp of the principles of making nonwoven fabric. Most of the educational opportunities in nonwovens are directed at those who seek technical and managerial positions in the nonwoven industry. Very little curriculum exists to teach the production floor employee. 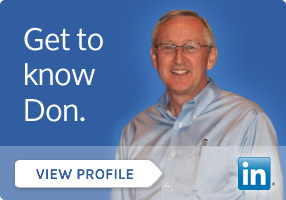 Throughout his career, Don has been involved in the startup of eight nonwoven companies: four saturate bonded, one spunbonded, and three needlepunch. Through his experience in these companies, he has trained many operators and has developed many training materials. Nonwoven Tools takes his expertise and applies it to the general nonwovens industry to improve profit and efficiency. Don has developed many friendships and relationships in the industry. Because of his relationships with machinery suppliers, he constantly develops courseware related to specific machines. His background as an engineer enables him to quickly understand and explain the workings of nonwoven equipment. Nonwoven Tools realizes that complex machinery and complex processes cannot be taught to the average production floor employee merely through the use of text books. As a result, Nonwoven Tools uses innovative video, computer, and audio presentations to provide courses that are relevant not only to the subject, but to the employee. Many of these courses are delivered over the internet to provide instant access and low prices. Nonwoven Tools also offers several generic courses such as Carding 101 and Needlepunch 101 that are designed for an entry-level operator to give him or her some overall understanding of various nonwoven processes. In addition to these generic fundamental courses, Nonwoven Tools can custom-design courses for companies to document and teach equipment and processes that are company-specific. Nonwoven tools also offers various law-required courses for manufacturing employees to take on a yearly basis. These include lock-out/tag-out, hazardous materials, bloodborn pathogens, first aid, fork truck operation, etc. Nonwoven Tools has received training in these areas and is available to teach these classes. Few would deny that production employees are the most important resource for a nonwoven company; yet nonwoven companies are struggling to attract and retain production employees with the technical skills required to operate modern nonwoven machinery. Many nonwoven companies do not have sufficient expertise and/or curriculum for training production employees. Drawing on experience from seasoned professionals in the industry and using innovative tools provided through computer-based training and the internet, production employees can be trained to successfully operate nonwoven equipment. Nonwoven Tools is unique because of the skillset within the company. Having been involved in the startup and/or reorganization of eight nonwoven companies, we are well acquainted with developing employees and departments. From an engineering standpoint, we have designed and installed many nonwoven lines. We have a passion for training production employees and recognize that a well-trained production employ is money in the bank for a company. In addition, we have created many successful computer applications to help management track their production, quality, and downtime on a daily basis.